There’s never been a more exciting time to be Greg Hunt. 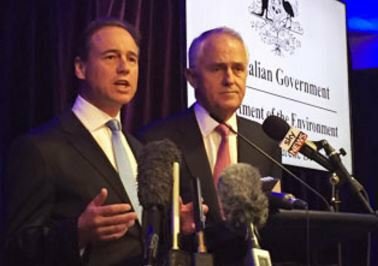 In case you missed it, earlier this week newly-minted PM Malcolm Turnbull appointed his ministry, with Greg Hunt jumping from Environment to Innovation and Science. He picks up a portfolio crying out for investment at a time when the PM has replaced the phrase ‘we must be an agile nation’ with ‘we must undertake budget repair’ as the key slogan. The start-up sector will be heartened that the ministry hasn’t been shunted off to a junior minister, but has shifted it from Christopher Pyne to Hunt – both senior ministers in the cabinet. It will also be heartened by Hunt’s performance as Environment Minister. While according to Twitter everything he did was wrong while in the portfolio – he was instrumental in setting up the Clean Energy Innovation Fund. That was a $1 billion fund dedicated to early-stage environmental tech – suffice to say the start-up community would love something even vaguely similar. The new fund, however, was read in some quarters as actually stripping the innovation out of the funding by focusing on projects which are dead certainties to provide a return to the government. As many start-ups will tell you, you can’t necessarily guarantee a return on investment in the early years. So, Hunt knows how to set up funding mechanisms for private companies in the scope of his portfolio, at least. What are the challenges Hunt will confront when he’s briefed by Canberra staffers? The first thing the minister will need to do is assure the start-up community that there aren’t any real changes to the previously-announced National Innovation and Science Agenda (NISA). Are there any changes in store here a la CEIF? It’s pretty unlikely given that it was a key Turnbull initiative, but given the government’s new mantra of budget repair – there will likely need to be some assurance here. Look to initial speeches and chats with industry for clues. This is a bugbear of the biotech sector as well, but the government is being urged not to muck with the current R&D provisions. There’s a review of R&D arrangements currently being led by Australian chair of innovation Bill Ferris, chief scientist Alan Finkel, and secretary to the Treasury John Fraser. They’re looking at how the system could be implemented, and would normally be concerned about tinkering about the edges rather than wholesale change. As with the NISA, however, those in the start-up space may be increasingly concerned that the budget repair mantra may become a code for slashing the R&D budget. One of the key planks of the NISA was a plan to attract more small-scale capital for start-ups – but what the start-up sector would really like to see is a bit of heft to the funding. The sector was undoubtedly pleased when key measures passed in the budget – including a 20% tax offset capped at $200,000 per year and a 10 year exemption on capital gains tax when investing in certain start-ups. This is a question we’ve tackled before on Finfeed, but can the government encourage the superannuation sector to invest in the innovation economy? It undoubtedly has enough headaches around superannuation already, but it could take investment off the books of the government and put it in the superannuation sector’s hands if done right. This is a bit of a broader issue and falls within the education portfolio, but is there anything Hunt can do within the senior ministry to make sure enough funds are allocated to education programs looking at Science, Technology, Engineering, and Maths? It’s an area that has been crying out for investment, as Australia is producing a surfeit of labour with skills in those areas at the moment. 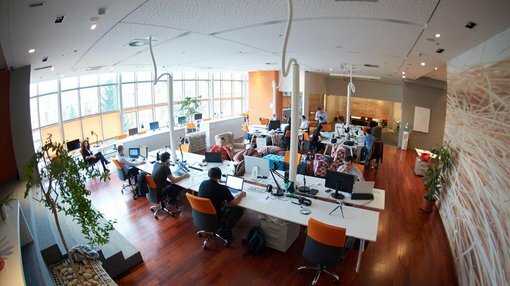 When you think of the start-up sector you may think about coding, but it’s broader than that. Start-ups cover a range of sectors, but what they all pretty much have in common is a lack of talent within the domestic scene. All the talent is being scooped up overseas, but if Australia can create an oversupply then the domestic scene will receive a necessary boost. It’s one of those things which may require a bit of cash though, so while the government may make pronouncements on STEM will it be able to follow-up with funding?